UEFA's executive committee met today, in Switzerland, to discuss changes to the Champions League commencing 2018. One of the major changes was the introduction of two separate kick-off times: 19:00CET and 21:00CET. For those of us in the UK, that is 6pm and 8pm. This will allow fans to watch more games and even improve the TV ratings for some games. Two fixtures are set to kick-off at the earlier time with six fixtures kicking off, later in the evening. Another change is the new access list which continues to provide the 55 national associations with a chance to qualify for the group stage of both club competitions. 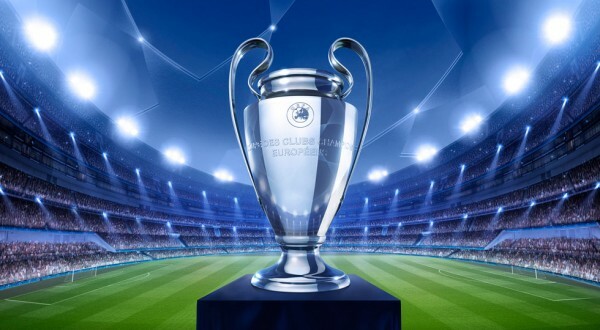 However, it will also now ensure that all domestic champions eliminated in the qualifying rounds of the UEFA Champions League get a second chance in the European competitions by entering a dedicated champions' path in UEFA's Europa League. Turning to the club coefficients, there will no longer be a 20% contribution of the respective national association coefficient. This is to avoid any further unfair advantage for clubs of top-tier associations and penalisation of clubs with good individual performances but a weak-association co-efficient. In terms of clubs and seeding, the co-efficient used for seeding purposes will be calculated from results over the last five years only. This is to reflect the current strength of the teams and there will not be bonus points for previous titles. In terms of finances, however, the club coefficient used for financial distribution purposes will cover the last ten years and will included bonus points for previous titles to reflect the longer-term contribution of clubs to the competition brand and success. However, clubs who have won trophies more recently will benefit more so than those clubs that do not have recent trophies. On top of the above, UEFA have earmarked an additional contribution of €50m from the UEFA Champions League to the Europa League as well as a further €10m which will be distributed to the qualifying rounds. There are both positives and negatives to draw from the changes announced. Whilst having the opportunity to watch more fixtures and increase tv viewers is definitely a positive, the flip-side of that is the disruption that the early kick-offs (6pm in the UK) could have for fans attending games so close to finishing work and it may even result in some not being able to attend. One of the major positives that I have drawn from the changes is the introduction of a Europa Champions' path, whereby all domestic champions who fail to qualify for the group stages of the CL, will automatically fall into Europa. This is obviously beneficial for the chance to play European football, each season, and the increase of award money potentially up for grabs to boost club finances. Turning to my last point, whilst I previously welcomed the idea of allocating bonus points for the number of trophies won by clubs, allocating 12 points to clubs who have won trophies in the last five years will only have a negative effect on financially-weaker clubs who require to be protected. Such an award of points will only maintain the status quo of football's rich list who already have the ability to spend far greater amounts than other clubs (through broadcasting rights, commercial sponsorships etc). Ultimately this point system will only reward rich clubs with even more money, whilst other financially-weaker clubs continue the struggle to keep up!